Whenever you create new articles or edit existing ones your changes will be pushed to Zendesk if the article is visible (unless you save a draft). But if you make modifications to the structure of your table of contents you will need to manually push these changes to Zendesk. This applies anytime you move articles between chapters or reorder articles in chapters. You update the table of contents in Zendesk by pushing changes for all of the manuals in the ScreenSteps site that is connected to Zendesk. 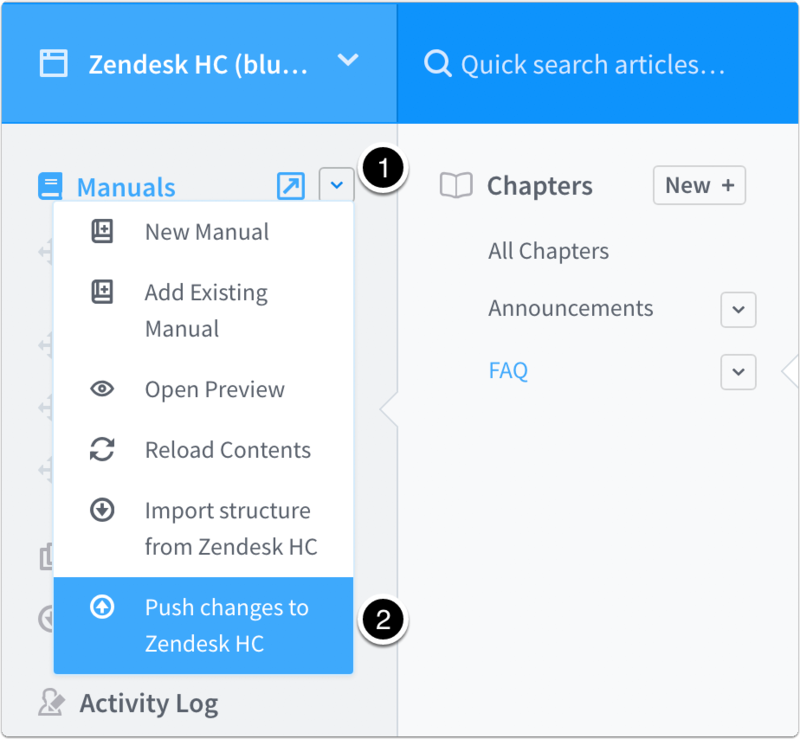 From the Manuals menu, select Push changes to Zendesk HC. A dialog will appear asking which parts of the table of contents you would like to update. 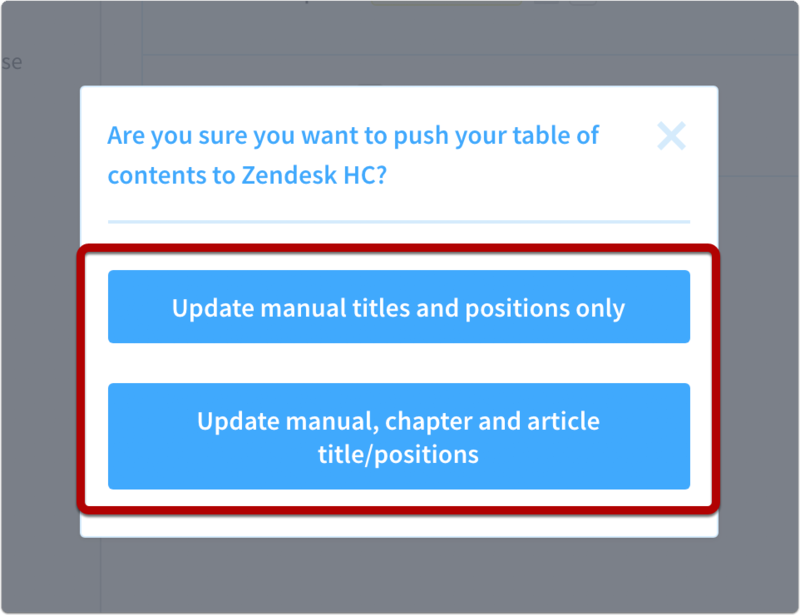 You can choose to just update the manual titles and positions in Zendesk or you can choose to update the title and positions of manuals, chapters, and articles. What happens to my Zendesk articles if I cancel my ScreenSteps account? What permission settings are used for newly created chapters in Zendesk? Can ScreenSteps publish articles in multiple languages to Zendesk? How do you move articles created in the Zendesk Legacy Web Portal to Zendesk Help Center and vice versa? Does ScreenSteps support multiple Zendesk brands? Does ScreenSteps publish tags to Zendesk? Zendesk Error: "Couldn't Authenticate You"
My Zendesk Help Center is out of sync with ScreenSteps, What do I do?